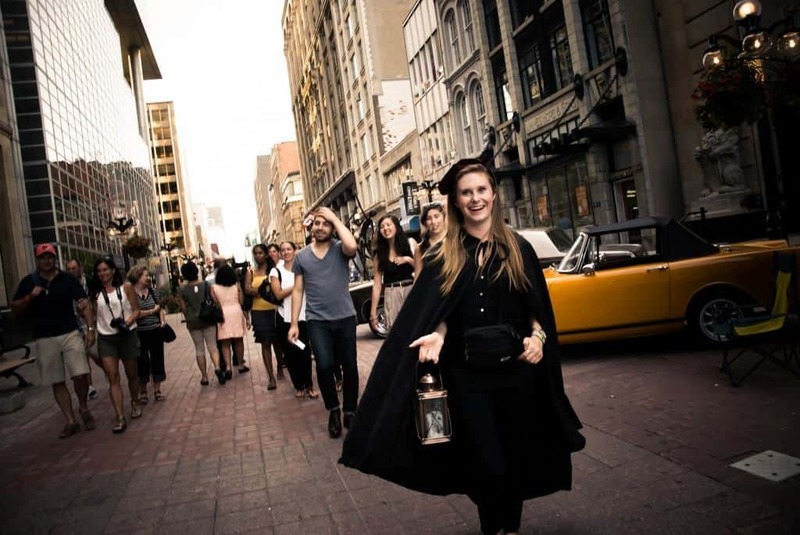 Haunted Walk of Ottawa takes you into the underbelly of Canada's Capital! Haunted Walks Inc. specializes in creating and sharing extraordinary experiences. We are best known for our award-winning evening walking tours by lantern-light of local ghost stories and darker history. Our tour guides delivery a wide variety of unique walking tours in Kingston, Ottawa and Toronto, Ontario. Some of our local tours (check our web site for specific times and availability). Dare to venture inside the old Carleton County Jail, one of the most haunted buildings in North America? Tour the cellblock and ranges where inmates of all kinds were once imprisoned. Walk the steps from Death Row to the last working gallows in Canada. Was the wrong man hanged for the assassination of Thomas D’Arcy McGee? Does he still haunt the hallways of the jail to this day? You will be the jury. Hear the evidence, experience the jail and decide for yourself! The outdoor tour that started it all! We will share some of our favourite ghost stories from the area and lead you by lantern light to some of our favourite haunted spots, including: the Bytown Museum, the Fairmont Château Laurier and Ottawa’s haunted high school. You’ll never look at the city and these buildings the same again! We set the ghost stories aside and concentrate on the incredible history of the old Carleton County Jail. How was the prison used? How bad were the living conditions? Did inmates try to escape? How many were executed? We’ll answer these questions and more as we put you to face-to-face with the last working gallows in Canada. Join for a moonlight walk around the Mackenzie King Estate, located deep inside Gatineau Park. As we lead you through this secluded getaway we will explore the former Prime Minister’s incredible property, his passion for spiritualism and the supernatural, and share some of our favourite ghost stories from the grounds. Each participant will receive a special limited edition Haunted Walk flashlight for the event! We will lead you through the darkened pioneer village, sharing chilling tales about Upper Canada’s darker history and the ghosts that may still linger in some of the buildings on-site today. This unique opportunity to see Upper Canada Village after the lights go out will only be available on select days this summer. Each participant will receive a special limited edition Haunted Walk flashlight for the event!